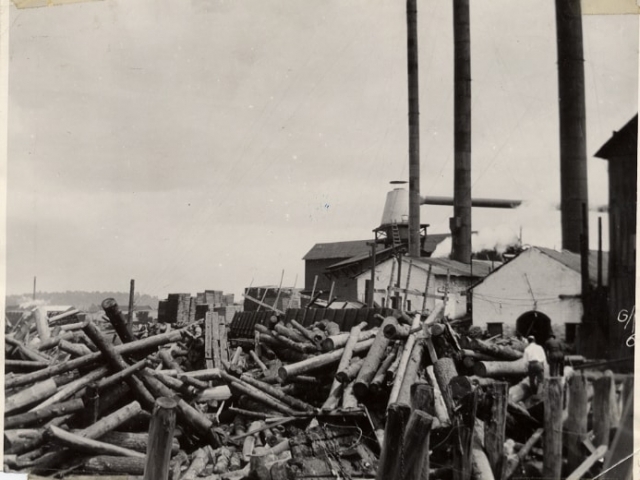 The Barker Stewart Island Sawmill was constructed in 1881. 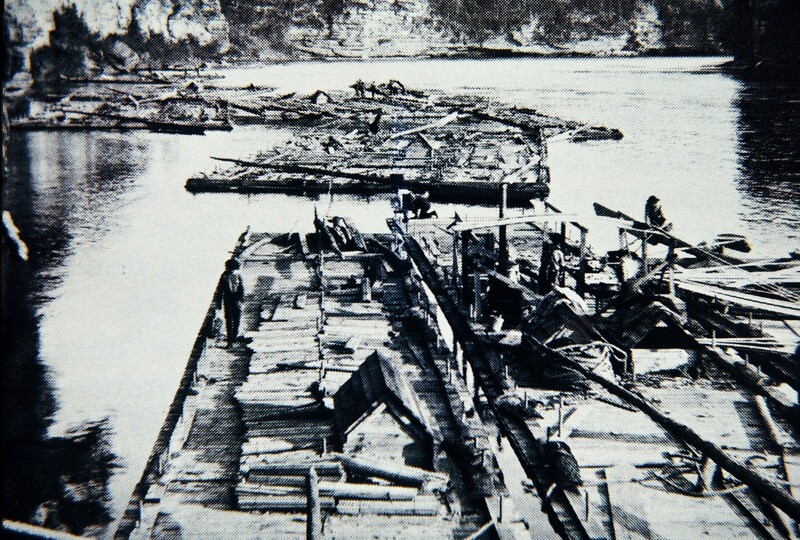 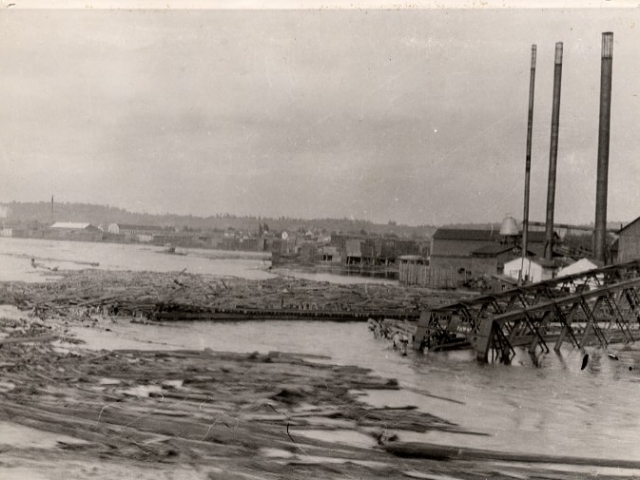 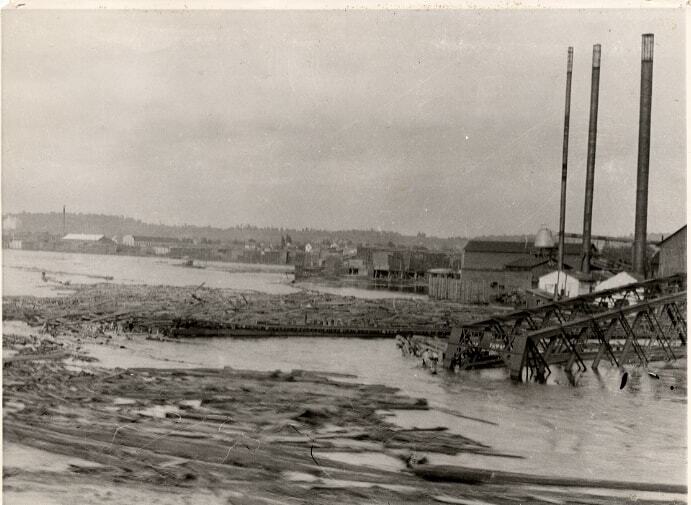 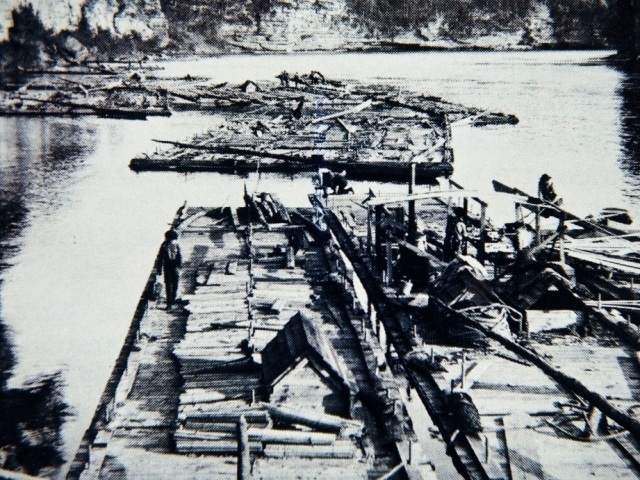 Lumber rafts were used to send lumber downriver; but it was very slow process. 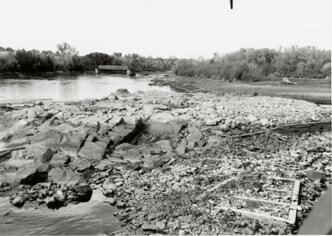 It took 12-16 days to travel the 200 miles to Prairie Du Chien, with 6-8 people guiding the rafts down the river. 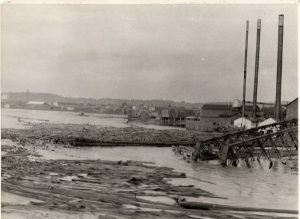 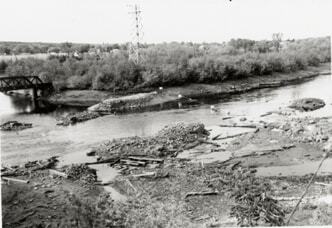 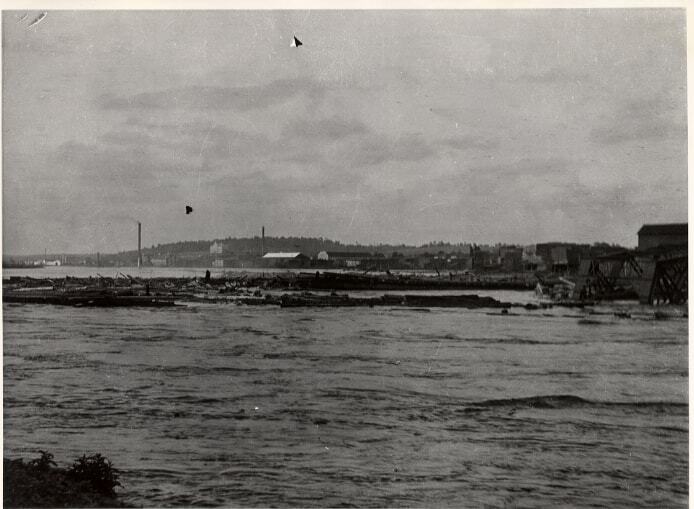 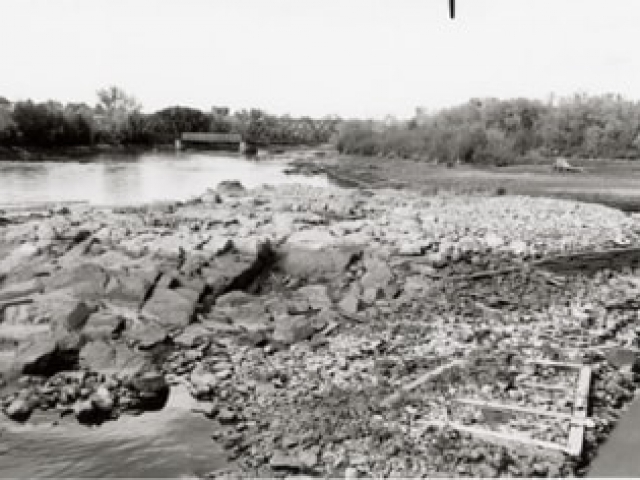 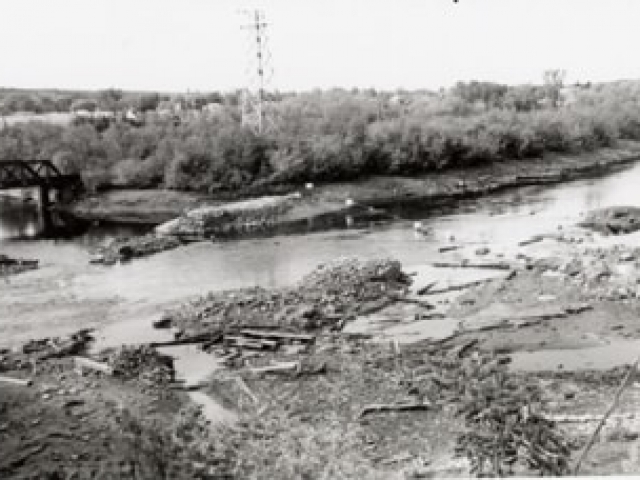 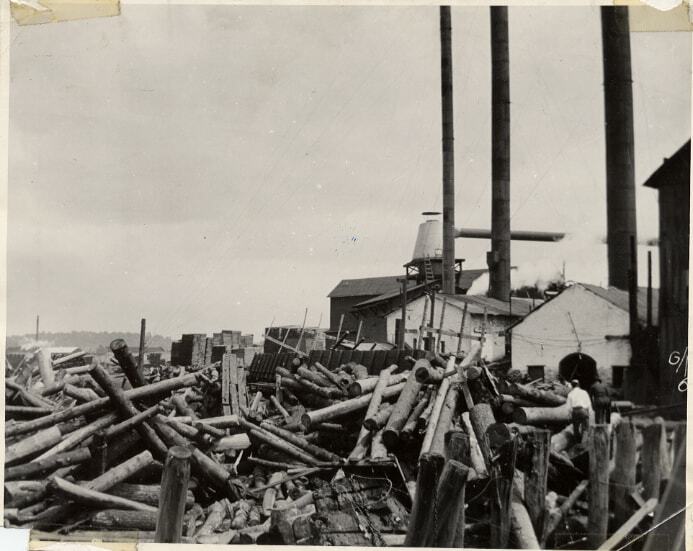 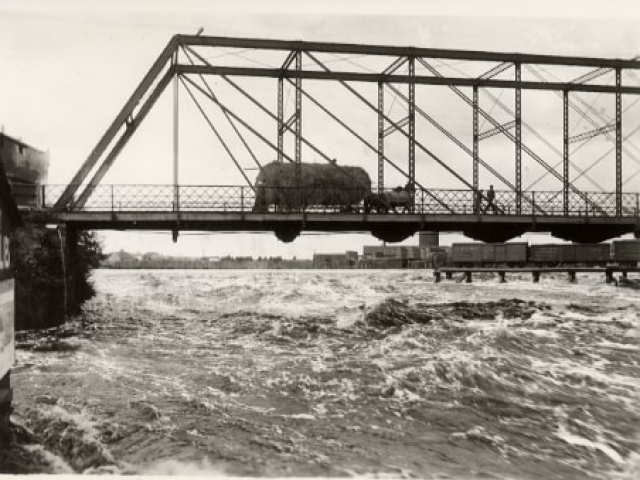 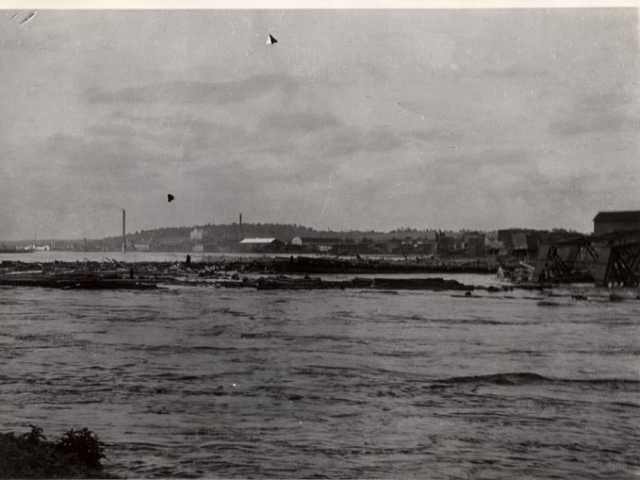 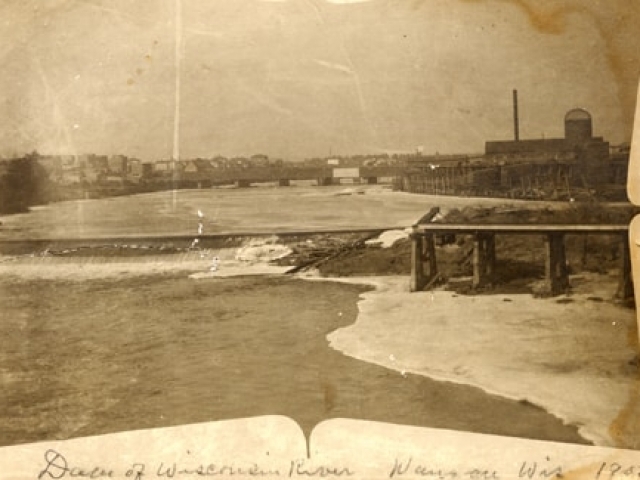 Due to the choppy waters near Wausau, more lumber rafts crashed in Wausau than any other place along the Wisconsin River. 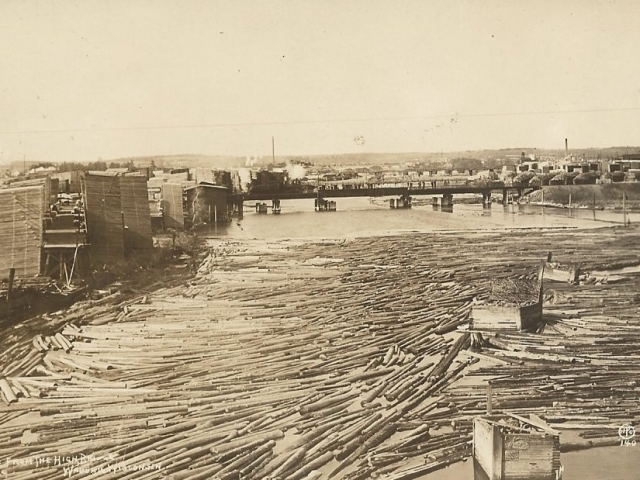 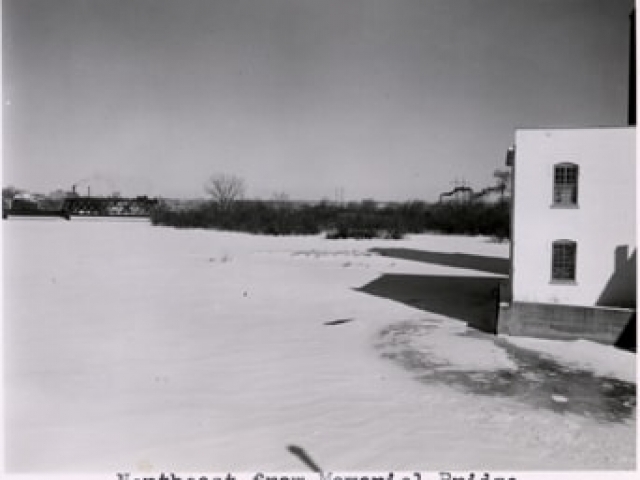 The last lumber raft left the sawmill in 1883, because railroads proved to be were proven to be safer for transporting lumber; and rail had been in the Wausau area since 1874. 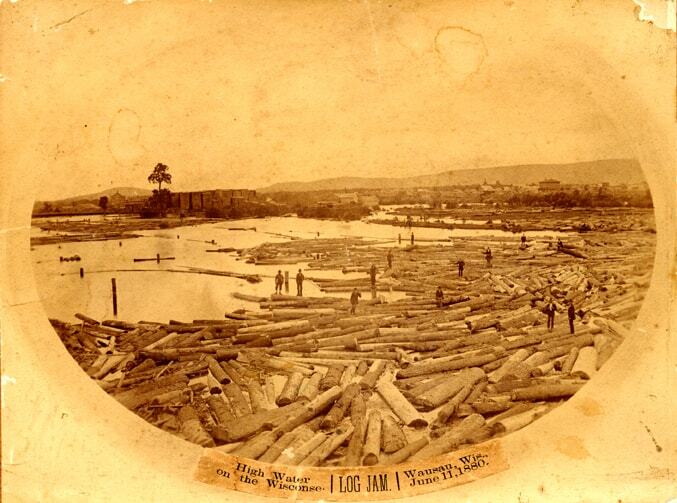 Clark, Johnson and Company owned the sawmill until it was sold in 1887 to Hiram C. Stewart and C. C. Barker. By 1887, pine wood was no longer plentiful, so the loggers began to cut down the still plentiful hemlocks, and hardwoods like maple and bass. 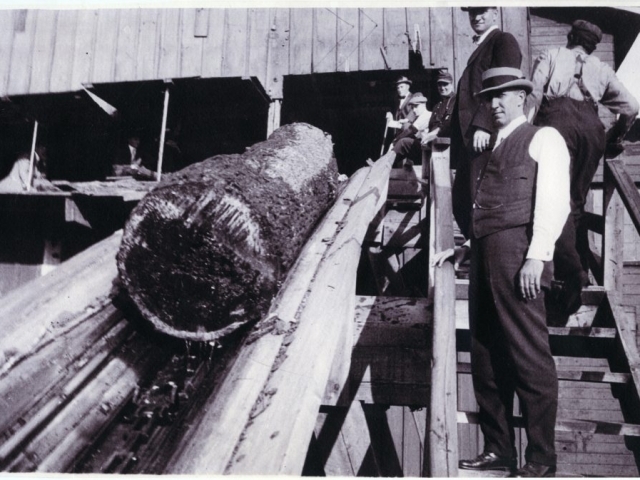 Hemlock was a durable wood, and its bark’s tannic acid was used to tan hides in the leather making industry. 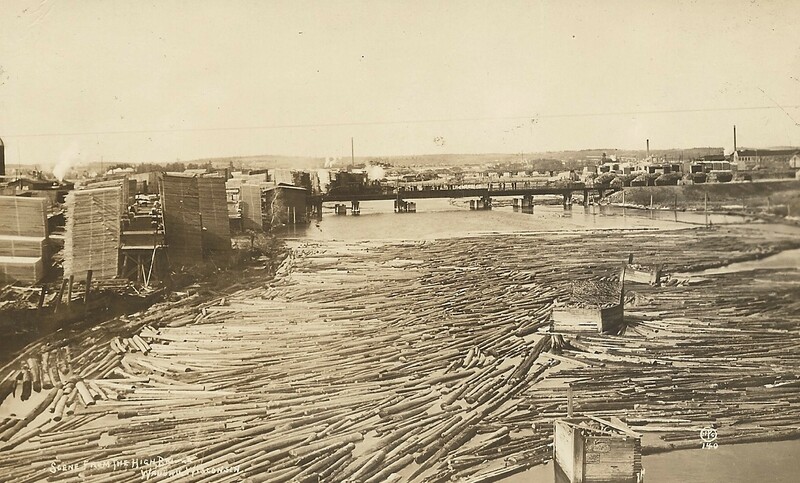 The Barker and Stewart Company produced 11 million board feet in 1900, making it Marathon County’s leader in wood output. 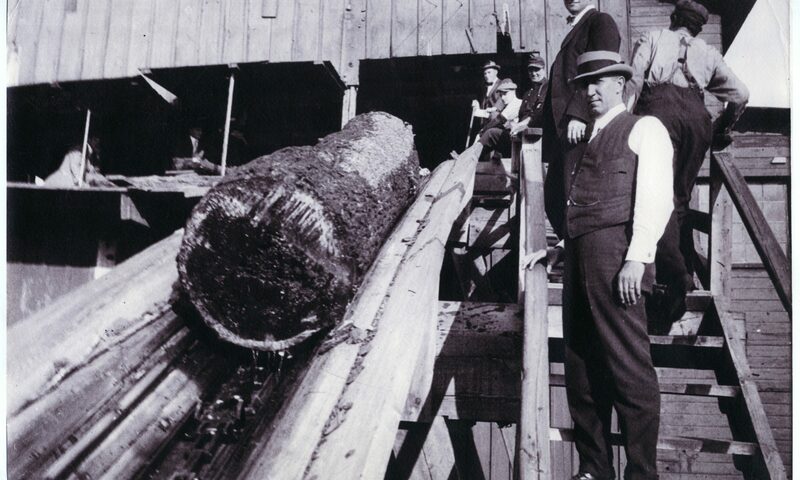 That would fill 123 million baseballs or 12 hot air balloons. 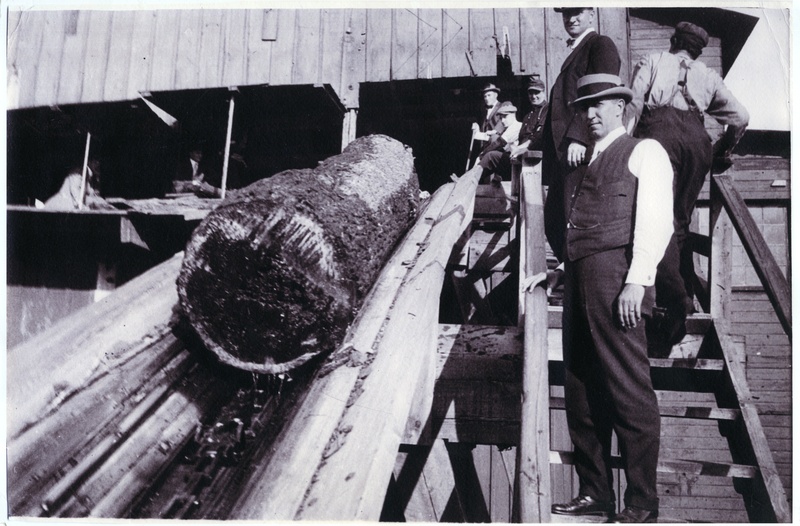 In 1915, the hemlock trees had become too scarce to harvest, and the mill closed. 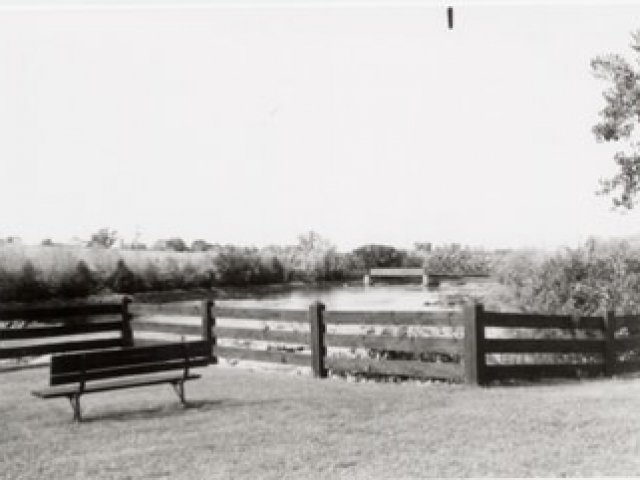 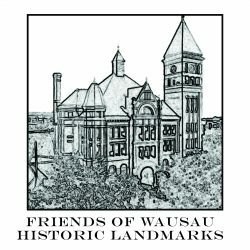 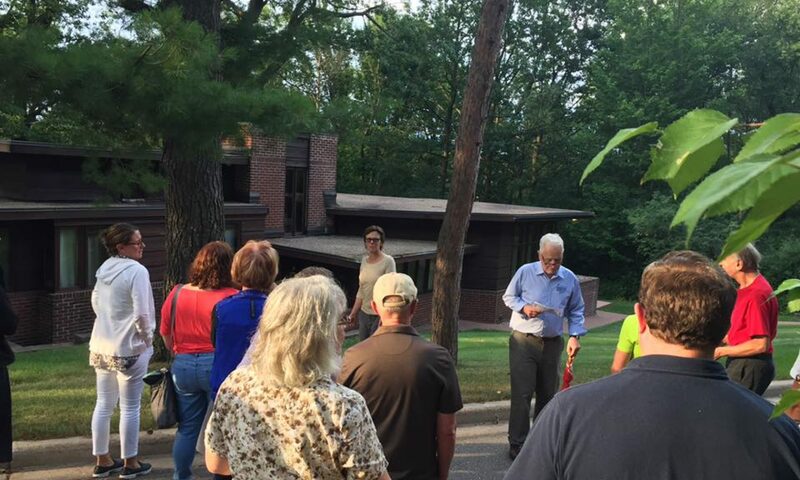 The city acquired the land from Wisconsin Public Service in 1976 for the purpose of turning it into a park. 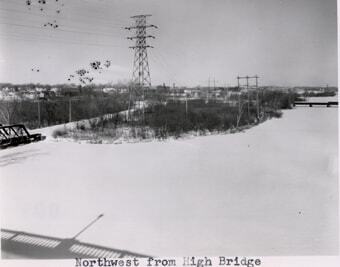 A pedestrian bridge was built in 1999 from Big Bull Falls Park to the island. 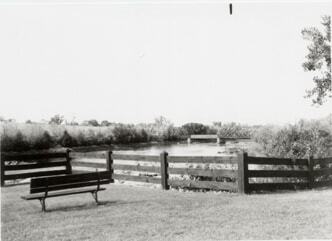 A nature trail was constructed in 2002 along with the purchase of the east channel railroad bridge to the island. 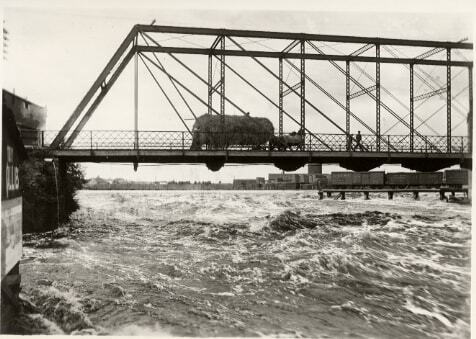 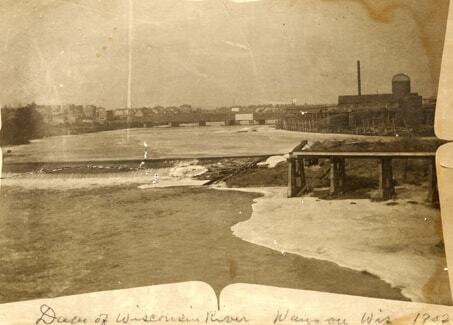 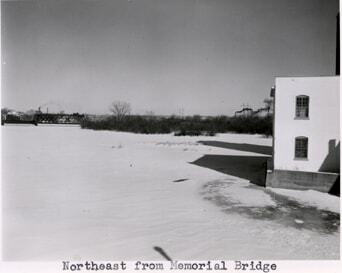 That railroad bridge was turned into a walkway.